There have been some important developments in Leckhampton recently relating to local schools – and there are more to come. 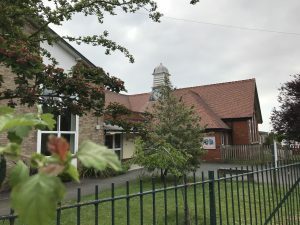 Leckhampton CofE Primary School in Hall Road is an outstanding local primary school currently educating just over 430 local pupils under the leadership of popular headteacher Sam Porter. Last April, Gloucestershire County Council proposed an increase from two to three forms of entry which would gradually increase the size of the school to at least 630 pupils from September 2019. The justification for this was increasing demand for primary school places in the local area although the actual model and assumptions behind this argument have proved infuriatingly difficult to extract from the county council. Nevertheless they insisted it showed sufficient demand within the immediate local area and no spare capacity at other local schools either so in May 2018 the council proceeded to consult with a wide range of stakeholders including parents, teachers and governors. 215 of the 372 respondents (58%) disagreed or strongly disagreed with the proposal. The most opposition came from parents (whether their children were at Leckhampton, pre-school or at another school). Staff and governors, by contrast, were strongly in favour but obviously fewer in number. Leckhampton with Warden Hill Parish Council opposed the plan. The county council then published a statutory notice that it intended to proceed and conducted further consultation during which I took local parents concerned about the expansion to see the responsible Conservative county cabinet member, Cllr Lynden Stowe, along with education officers. It was good of him to meet us and discuss the plans but we never did get the really detailed modelling and assumptions behind the decision. On 23 November 2018 Cllr Stowe approved the expansion and this will now go ahead unless the necessary building to accommodate hundreds of extra pupils is frustrated by the planning process in which case a rethink will be necessary. The usual planning authority in Cheltenham is Cheltenham Borough Council but on this occasion the county council has decided to apply to itself for planning permission. Astonishingly, the law permits this where the county council is itself the landowner. This is not a decision which will reassure local people concerned that the impact on the local neighbourhood – including its already very congested roads – will be adequately considered. Local Lib Dem county councillor Iain Dobie is working hard to see if mitigating proposals can be brought forward, such as a rear access route for walking and cycling from Burrows Field where there is already a pathway almost to the back of the school. Iain regularly updates his Facebook page with the latest school news. Latest news from the county itself can be found here and the background documents to their decision are here (click the tab for ‘supporting documents’). There will be an open drop-in at the school on Wednesday 30 January 3:30pm – 7pm, when members of the public can view the building plans to be submitted for planning approval later this year. Previous Previous post: Thank you Leckhampton!